The Google Nexus 5 has been creating waves since it was announced way back in October and is still continuing in doing so. For those of you who are thinking of getting their hands on this little piece of marvel now have a new color choice at their disposal. The Android 4.4 (KitKat) running device was initially released in just White and Black but now sources close to us have revealed that a new Crimson Red variant is also in the pipeline and would be announced pretty soon. Will let you guys know once the news get confirmed. 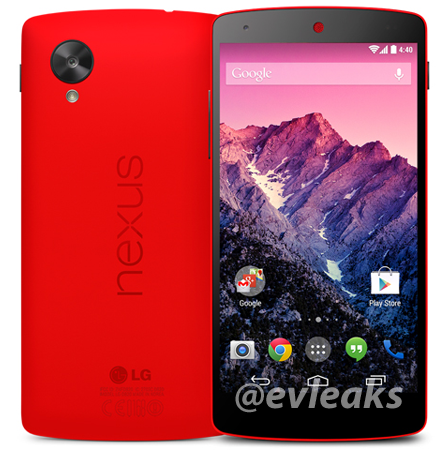 That’s good news , google nexus 5 looks cool in red.